The lovely Lisa Raffael and one of her beautiful creations. 1. When did you start your business? What has been your greatest challenge? 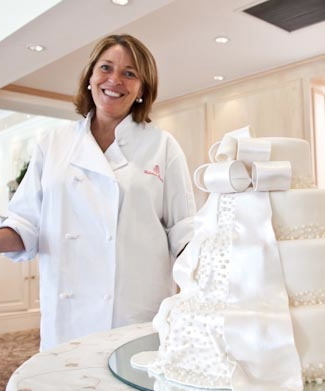 I started Delicious Desserts in 1992 – 21 years ago!!! My biggest challenge was perfecting the basics: base frosting, leveling cakes, etc. It takes so much practice to do this well, and in the beginning, you don’t have that many cakes to practice with! 2. What is your favorite cake decorating technique? Any technique involving a modern theme. I love making abstract flowers out of gumpaste or fondant (or a combo of both), I love painting on cakes, and textured finishes. (I’m sorry – that’s 3 techniques, but it could be all on one cake!). 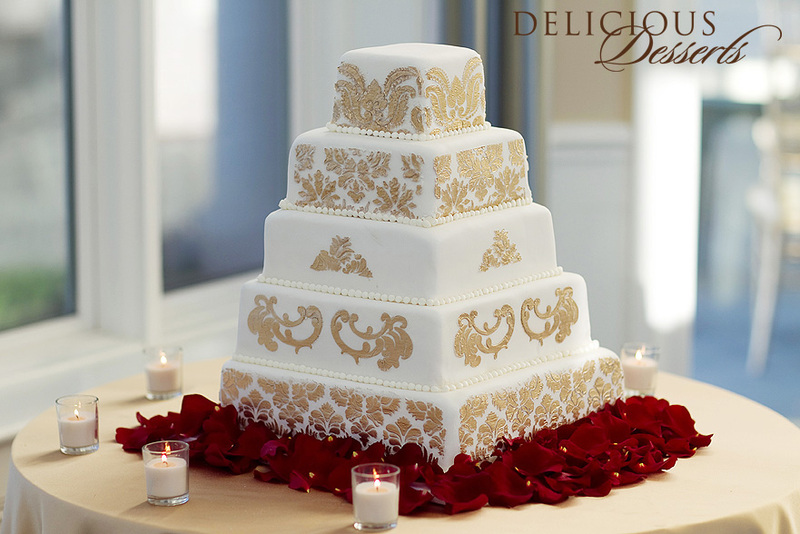 3. Who are your inspirations in the cake and pastry world? , Peggy Porschen, Marina Sousa and CakeFace. 4. What are your favorite seasonal ingredients? Living on Cape Cod, I’m surrounded by farms so I literally can pick my ingredients fresh from the garden! My favorite seasonal ingredients are cranberries, strawberries and blueberries. 5. What tool do you use the most when cake decorating? Which one is your favorite? ← Why is décor an important part of your event?